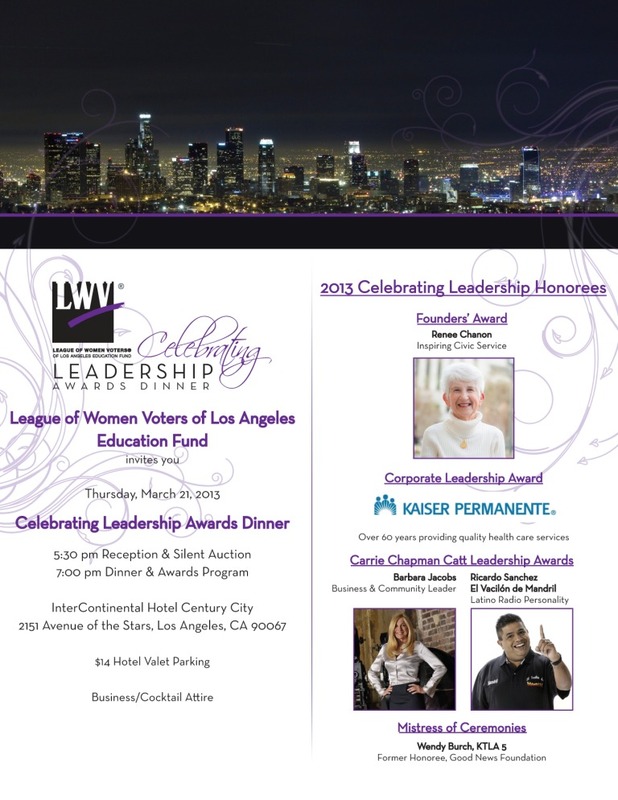 Join civic leaders, elected officials, community members, and dignitaries at the 2013 Celebrating Leadership Awards Dinner presented by the League of Women Voters of Los Angeles Education Fund. The annual fundraising event will be held on Thursday, March 21, 2013 at the InterContinental Hotel in Century City (5:30 PM reception and silent auction, 7 PM dinner and program). Click Here to View Sponsorship & Ticket Information. You may also purchase Electronic Ads here.